What is the chip with this PN? I have one IC for which I can not find any clue for the part number (PN). It has "BA7P16" and "5810" on it. 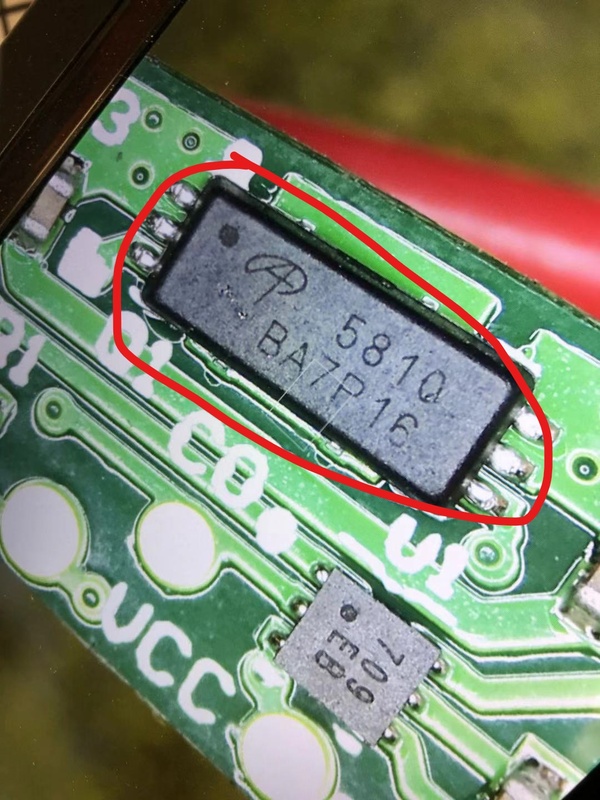 What manufacturer has that logo and what chip is it? I think I found it by myself. It is from Alpha & Omega Semiconductor Inc. Here take a look. What is this chip and what is it for? What is this plastic chip packing material called?